While this series is called “A Day in the Life”, it will focus on more than a day in the life of a Cooper, Sales Person, Ambassador, Master Blender, Independent reviewer/critic, etc… Also, I will try to get a little personal (without making said person blush). My second interviewee is Sam Simmons. Who is Sam Simmons you ask (as if you don’t know)? Sam is the Eastern States US Brand Ambassador for The Balvenie. Sam is also known as Dr. Whisky and he has a truly fantastic whisky blog that, if you’re not already doing so, you need to start reading. STAT. Yossi: Sam, you are The Balvenie’s Brand Ambassador for the Eastern section of the US. Can you explain, for those of us who are not aware, what a Brand Ambassador’s responsibilities are? Sam: I can try. “Brand Ambassador” is a title that covers a variety of different roles that will vary from company to company, situation to situation, person to person. There are BAs who are models hired for one night to pour whisky and look pretty, there are BAs who are good PR people who work on opportunities for brand exposure, there are those who are also the actually whisk(e)y makers themselves, and there is everything in between. I was invited to represent The Balvenie because I love whisky and had already spent 6 years spreading that love. I accepted the opportunity with Balvenie because I would be proud to be associated with it. I think The Balvenie is the finest example of handcrafted, 19th century Scotch whisky-making in the 21st century, have always loved the liquid, and I have always admired the Scottish, family-owned company behind it. As The Balvenie Ambassador, it can generally be said that my role is to bridge communication between the Balvenie, and whisky drinkers, bars, restaurants and retailers, distributors, press between William Grant local sales teams across the USA and our marketing team in NYC. Every day is different and every day is a frickin’ joy. Yossi: When hosting a tasting for a particular group (say, a private tasting, not a Whisky Live or Whisky Fest type of event), how do you go about running it? Does it change from group to group? Sam: Before I came to work with The Balvenie, I ran tastings in Scotland as President of the Edinburgh University Water of Life Society, privately for friends, family and charity events in Norway, Canada, Scotland and England, as an employee of The Whisky Exchange, and as an Ambassador for the Scotch Malt Whisky Society in the UK, so I have dealt with all kinds of crowds and yes, every tasting is different. 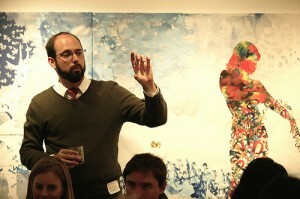 There is no group that knows everything, in fact I am often the one learning new things from guests at my own tastings. There is always something new to learn so we keep the format flexible to meet everyone’s needs and continue my mission of whiskevangelism: bringing more people to appreciate Single Malt Scotch Whisky. Yossi: What type of preparation do you need to make when helping to launch new Balvenie expressions? Sam: My superiors should stop reading now lest I upset them. Our company is… in our company… at William Grant & Sons, a 5th generation family company, things work differently than any of the other top single malt companies: decisions are made from production out, rather than from marketing in. Does that make sense? David Stewart, the longest serving Malt Master in the Scotch whisky industry, creates new expressions, has new ideas for new Balvenies, and he makes them. Then we have to scramble to find a way to get them into whisky drinkers’ glasses. It can be rewarding, sometimes challenging, but always infinitely inspiring. Yossi: Being the Ambassador for the Eastern portion of the states, can you explain how far that takes you (E.G. is it from Maine to the Mississippi, New Jersey to New York, etc…) and how much of your time is on the road? Sam: I probably travel 25 weeks of the year with my travels including stops between Boston Harbour and Miami Beach on the east coast with Chicago also falling within my territory. I also get back Scotland about twice per year. Yossi: Most people who are Whisky Blog Websurfers may not know you as Sam Simmons, one of The Balvenie’s US Brand Ambassadors. But rather, they may know you better as the famed Dr. Whisky. How did the Dr. Whisky blog/website start? Dr. Whisky the title began as a joke because I was working on a PhD in Edinburgh when I fell in love with whisky. 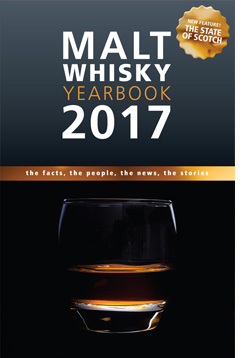 I ran a whisky society/club that was quite large and still runs to this day. I presented to 56 people fortnightly (every two weeks) on all kinds of different whiskies, telling their stories and histories. As my studies progressed and had yet to produce a doctorate, my mates awarded me with the honorary degree and title Dr. Whisky for my admirable geekdom. The site began after I moved from Edinburgh to London when friends I left in Edinburgh wanted to know what I was drinking. I shared a picture of our whisky shelf with my wife’s brother and he said “start a blog about those sweet, sweet nectars!” And so one by one I began tasting the 30 or so whiskies on my shelf and the mission continues 385 Malt Missions later. 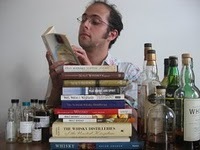 Yossi: One thing I try to focus on is what dram to drink for a particular mood or season. Do you approach whisky in a similar manner (when not hosting events, tasting for reviews, just drinking for the enjoyment)? Sam: Absolutely. This is the gift that single malt whisky gives us and not to capitalize on it is a major oversight. All distilleries are essentially making the same thing, distilled barley beer matured in oak. But every distillery’ make tastes different and even within each distillery one can have huge variability at different ages, in different expressions. It is a simple liquid that is infinitely complex. Genius. 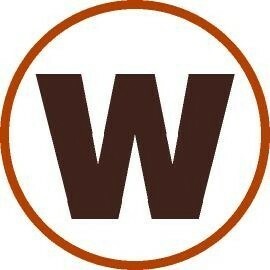 And although it completely puzzles spouses, friends, colleagues, parents, etc. who do not share our passion, this is why most of us whisky lovers have more than a few open bottle on the shelf at a time. Each whisky speaks to us in the same language but with different words. The right dram, the right conversation must be chosen for the right moment as every sip can comfort a variety of scenarios: love lost, love found; new life, hard life, the good life; a hard day, a cold day, a great day, etc. “Tonight I feel like Glenfiddich 12… no maybe Compass Box Asyla to warm up. Actually, I might just grab a Glenfarclas 105 to get me where I’m going. Nah, screw that. Brora 25, or…” etc. It never ends, and that is the wonder of whisky. President of The Water of Life Society and, with the help of friends, grew the society 10-fold, about half men and women (which I am still proud of), and lead us through fortnightly tastings, inviting distillers to speak to us, and planning trips and tours to Speyside, Arran, Skye, Islay, Northern Highlands, etc. I had officially caught the bug and went from being an enthusiast to running a successful whisky appreciation society to being invited to be a spirits judge in both the World Whisky Awards and the International Wine and Spirits Competition, writing a simple blog that grew to 1000 visitors a day, working with Sukhinder Singh at The Whisky Exchange in London, with Douglas Laing independent bottlers, as well as becoming a part of the team of the first UK Ambassadors for the Scotch Malt Whisky Society. Now here I am working for one of the last family-owned distilling companies in Scotland. Life is good and I give thanks at the shrine of whisky every day (well, nearly every day). 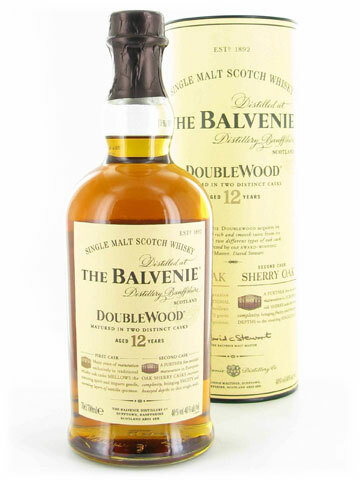 Sam: No one ever believes me when I say this now that I work for William Grant & Sons, but I will answer the same way I have been answering for years: After a lot of “field research”, The Balvenie 12 DoubleWood was the first bottle I bought. It was a whisky that showed me that great whisky can be accessible, rich, complex, drinkable, affordable, and traditionally-made in the modern era. It still does on a near-nightly basis. 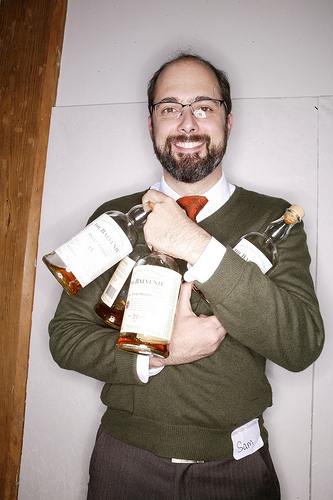 Yossi: What passions, other than whisk(e)y do you have? Sam: Uh-oh. Well, I have had the good fortune of turning what I do for fun into what I do for a living, so I must confess that whisky occupies nearly every moment of my day. I pour it, I nose it, I read about it, I drink it, I talk about it, I write about it, I think about it… I haven’t time left for any other passions! I do play music and ice hockey, and while both have a place in my heart eternally, my new daughter is my latest passion and I currently cannot imagine a world where she is not the centre. I guess I am passionate about being her daddy. Yossi: Do you have a list of Top Drams or perhaps some Desert Island Drams you’d like to share? Sam: Desert Island Drams usually come in threes, right? 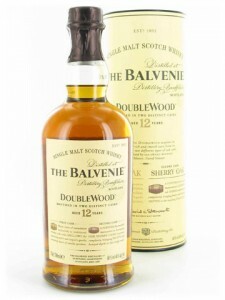 The Balvenie 12 DoubleWood. It has been 8 years with this whisky on my shelf full, emptied, and replenished. I damn any island that doesn’t serve it. Clynelish 12, old orange/red label, makes me melt. I wish it could flow eternally. 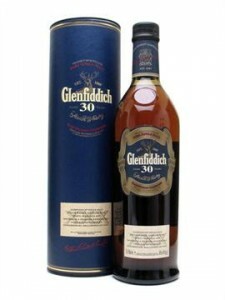 Glenfiddich 30. If I could justify the indulgence, this gem would be my daily dram. Island life would be a breeze with this whisky blowing free and easy. Yossi: Without giving out names & places (basically, without getting yourself into any trouble), do you have any funny, interesting or bizarre stories from any of your events/travels that you wish to share? Sam: The Duke of Sutherland made (at least) one significant contribution to whisky, but the guy was a prick and a key part of a very dark chapter of Scottish history for his role in the Highland Clearances. As a part of a whisky trip with a group of 30 that we took to the northern highlands, we spent part of an afternoon hiking up Ben Bhraggie, communing over a bottle of Stewarts Cream of the Barley, and seeing the statue of the Duke (that he had erected himself) up close. Locals still campaign to have the enormous statue taken down, but that is not likely to happen anytime soon. So the most one can do is to do as we did: climb the hill, raise and glass, and pay your respects… by spitting on the statue. After a bottle of Stewart’s, we took it to the next level. Sam: The message is in the bottle: Slow down. Be patient, be grateful. and share. Previous PostGlengyle Kilkerran – Work In Progress – 46%ABVNext PostLa-la-la, The Magical Mystery Tour!